Numerous inspectors general say that at least 20 investigations have been slowed or closed due to government watchdogs not having access to needed documents or records under the Obama administration. Dozens of interviews of people with firsthand knowledge of the years-long problem spoke of the tensions between the watchdogs and the administration. The Drug Enforcement Administration balked at turning over emails from senior officials tied to the raids, according to the department’s inspector general. It took nearly a year of wrangling before the D.E.A. was willing to turn over all its records in a case that the inspector general said raised "serious questions" about agents’ use of deadly force. The continuing Honduran inquiry is one of at least 20 investigations across the government that have been slowed, stymied or sometimes closed because of a long-simmering dispute between the Obama administration and its own watchdogs over the shrinking access of inspectors general to confidential records, according to records and interviews. The impasse has hampered investigations into an array of programs and abuse reports — from allegations of sexual assaults in the Peace Corps to the FBI’s terrorism powers, officials said. And it has threatened to roll back more than three decades of policy giving the watchdogs unfettered access to "all records" in their investigations. 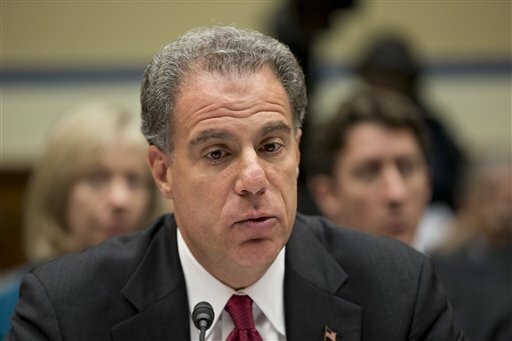 "The bottom line is that we’re no longer independent," Michael E. Horowitz, the Justice Department inspector general, said in an interview. The restrictions reflect a broader effort by the Obama administration to prevent unauthorized disclosures of sensitive information — at the expense, some watchdogs insist, of government oversight. In recent years, inspector generals have increasingly said the Obama administration is making it more difficult to acquire information as 47 of the 73 government IGs sent a letter to Obama last year for stonewalling their investigations. The press additionally has chastised the Obama administration for lack of access to records as well. In March 2015, the Obama administration set a record for withholding government information despite promising to lead the most transparent administration in history. This entry was posted in Issues and tagged Government Waste, Inspector General. Bookmark the permalink.